There are many students who find the theory subject difficult and boring. If you are one of them this you must read this article. Here, in this article, we will share some tips to prepare theoretical subjects well for the exam. Time changed, Technology Changed and even the Teaching Method got changed but the basic fundamentals of the brain still remain the same. If planned properly then preparing for theoritical subjects is a fun. Trust me, If you follows the tips mentioned below in the article then you will definelty score maximum marks in your theortical exam papers. At the end of this article, you will be in position to prepare theoritical subject without getting borded. This is the best method for preparing theoritical papers. Instead of sitting and reading books, wake up and walk while speaking loud. By speaking loud, it will easy to remember theories. Speaking loud not only helps you to remember theories but also improve your communication skills. I remember, when I was a students, I used to speak loud the theories and keep practising it until I spoke it correctly. Hence, it improved my communication skills and even theories. The biggest benefit of Walk and Speak is that you will not feel bored and get sleeped while studying. I know initally you will feel difficult but slowly and gradually, you will become habitual of it and you will get bored while preparing for the theoritical subjects. This is another best method for preparing for the theory subjects. Spare Saturday and Sunday for weekly revision. Whatever you have read during the last week, revise it once again without any books. The best way to revise the theoritical subject is to speak loud as if you are giving the presentation. You will hardly take 1 hours to revise while speaking loudly. So, two hours per week is enough to revise the theories and mugged up it. Yes, once you understood the theories the next steps involved is mugging up the theories. Mugged up theories will help you to save time in the exam. Here, it is very important to note that we are promoting mugging up over understanding theories. We are saying that first understand the theories and then during weekly revision try to mugged up. This will save your time. There are few papers like Industrial and Commercial Law, where you need to mugged a long theories with particular section number. This tips is for such kind of subject. 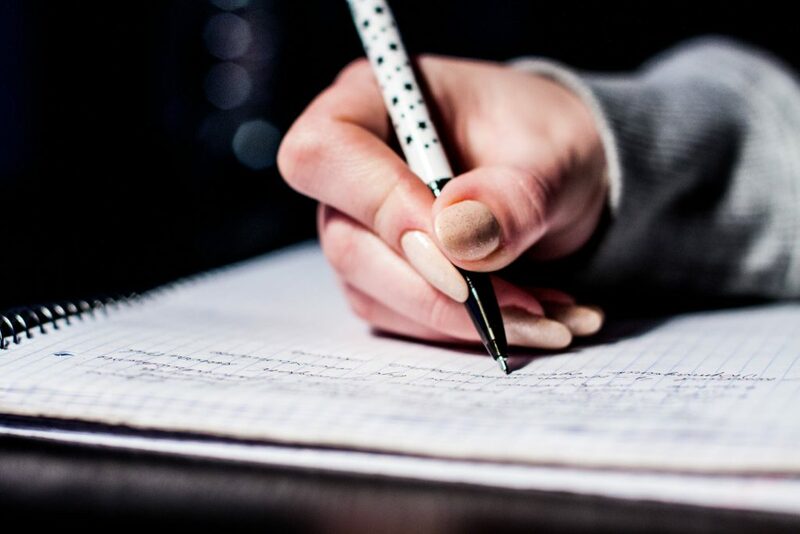 Here, it is also important to note that we are dicussing this point for the students who find difficulty in remembering long theories and forget main keywords while writing the answer.In the subject like Law, where to explain one points, it takes two pages, this technique will work best. Even this will also be benficial during your weekly revision. Confused? Let us understand this with an example. In below image, you will find more than seven points on Canteen under Factories Act. You need to read and mugged the all the points for a simple question asked about Minimum requirements in Canteen under Factories Act 1948. To answer the above question, you need to muggged the all points given under Point 7. Here, the role of Ppt Presentation comes. Insted of preparing such long theory, prepare a ppt presentation including these points. By preparing Ppt Presentation, it will become easy to remember this points. Next, if you find difficulty in preparing Ppt Presentation then you can also download the Ppt presentation from below website. This technique is not directly but indirectly related to theoritical subject. In fact this technique is must for passing the theortical subject like Strategy Management. Lot of examples will help you to understand the theories easily. Without examples it is very difficult to understand and remember the theories questions. During my times, out of 5 marks, my mam allocate 1.5 marks only for the examples. It means if you wrote the answer without examples then no matter what you have written, the maximum marks would be allocated to you will be 3.5 only. Yes, examples was must to score good marks in exams. You will understand the 90% of theories if you know the real example of it. Use more than one books for preparing for the theoritical subjects. If you don’t understood the theories from one book then instead of mugging up, refer it from the second book. I know practically it is not possible to purchase so many books for one single subject. But here by books we means both physical and free ebook as well. If you can’t purchase the books then you can even refer the ebook also. Next, after reading one theortical topic, go to Google and search more about that particular topic. This will clear your all doubts instantly.Remembered, if you properly understand the theories with lots of example then no one can stop you from scoring good marks in exam. That’s it. Follow the above mentioned techniques to score good marks in theortical subjects. Next, What do you feel about our article. Please do not forget to share your feedback with us. You can share your message in the below comment box. Further, if you face any problem in understanding above techniques or preparing for the theortical subjects then please let us know. We will be happy to help you. How to Prepare for the Campus Placement Interview?